With IR35 Private Sector legislation reform due to roll out in April 2020 there’s already speculation about how the industry will react and what the implications will be for contractors. We’ve partnered with Contractor Accounting Specialists Intouch Accounting to bring you advice on getting ready for the reforms, and case studies showing success stories in the Public Sector that we can all learn from. 1. It will no longer be the responsibility of the director of the personal service company (PSC) to determine their IR35 status. This will become the responsibility of the end hirer (client), but only where the end hirer is a large or medium sized business (this is yet to be defined). 2. The actual method by which status is assessed is not changing, so if a contractor is legitimately outside IR35 today, they should continue to be outside IR35 post April 2020. 3. The end hirer will need to exercise “reasonable care” when determining the IR35 position of any contractors engaged via a PSC. A further consultation is expected in the next few months to help shape the precise changes, with the Government already conceding that there’s the need to refine the design of the reform. Refinement around the definition of and enforcement of ‘reasonable care’ would certainly indicate that blanket bans on the use of PSCs will not be an option. The same will apply to blanket IR35 assessments (for convenience and/or to reduce effort), as we saw at the start of the Public Sector reforms. The positive news is that, assuming the details are nailed down, there will be time for the Private Sector to consider their options, to learn from Public Sector experiences and to be ready for the reform. And there’s good reason to believe that there will be a more measured approach to IR35 from both HMRC and end clients, leading to a more collaborative approach aimed at retaining the valuable contractor workforce that keeps the UK economy running. In short, the Private Sector, and the Government, simply can’t afford to make the same mistakes again. As a contractor, come April 2020, you may need to be in a position to produce ‘proof’ of your IR35 status, backed by a professional/legal entity in order to positively influence client decisions. By doing some of the legwork, you can help provide the ‘reasonable care’ element for your client and perhaps educate them in how to do that for themselves. Aligning yourself with a good accountant to provide this proof, and to help influence further up in the supply chain will stand you in good stead. Prior to the IR35 Public Sector changes coming into effect in April 2017, this company (who provide) specialist secondment services approached our Group Legal Services division for assistance. The Company wanted to protect its contracting workforce through the reforms, whilst ensuring that it carried out its own IR35 review duties to the highest standard. 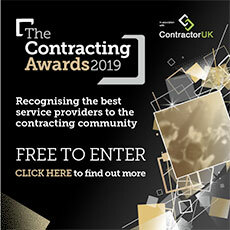 Recognising that this was fundamental to their ongoing efficiency and success, the Company instructed Brookson Legal Services to review over 100 contracts and working practices in respect of the contractors engaged, many of whom provided services to councils and government agencies. BLS advised the Company on how it should treat contractors and proposed changes to the working arrangement between the Company, Contractor and Client to ensure the contractors were seen as truly independent and any risk to the Company was significantly reduced. By working with professionals and getting ahead of the legislative change, the Company saw very little impact on their business come April 2017, and have the paperwork and backing to prove ‘reasonable care’ should they have to. “After making a move from a permanent role into a contract role a number of years ago, I always operated via my own Limited Company as this was the most tax efficient and flexible way for me to complete my assignments especially when working for multiple clients. I have had numerous IR35 reviews via Brookson Legal Services over the years and always been satisfied this was the correct way for me to operate. When the rules changed for IR35 in the Public Sector I was surprised that some of the clients I completed assignments for had made a decision not to use contractors using Limited Companies due to them being at risk, I questioned this decision and their understanding of IR35 and the new rules seemed to lead to confusion. As specialist Contractor Accountants, Intouch Accounting have been championing the cause of UK Limited Company contractors and freelancers since they were established in 2010. As part of the Brookson group, Intouch already engage with a number of end clients and recruitment organisations who are all motivated to understand how to support their flexible workforce through this legislative change. This ability to influence up the supply chain puts Intouch in a uniquely strong position to support contractors in their contracting journey. Contractors working with a specialist accountant with their finger on the pulse of IR35 will have little to worry about over the coming months, so if you’d like to talk to Intouch Accounting about how they can support you, please complete the contact form below.